Increase the life of your tires and save money with this tire inflator that comes with a gauge and flexible hose. 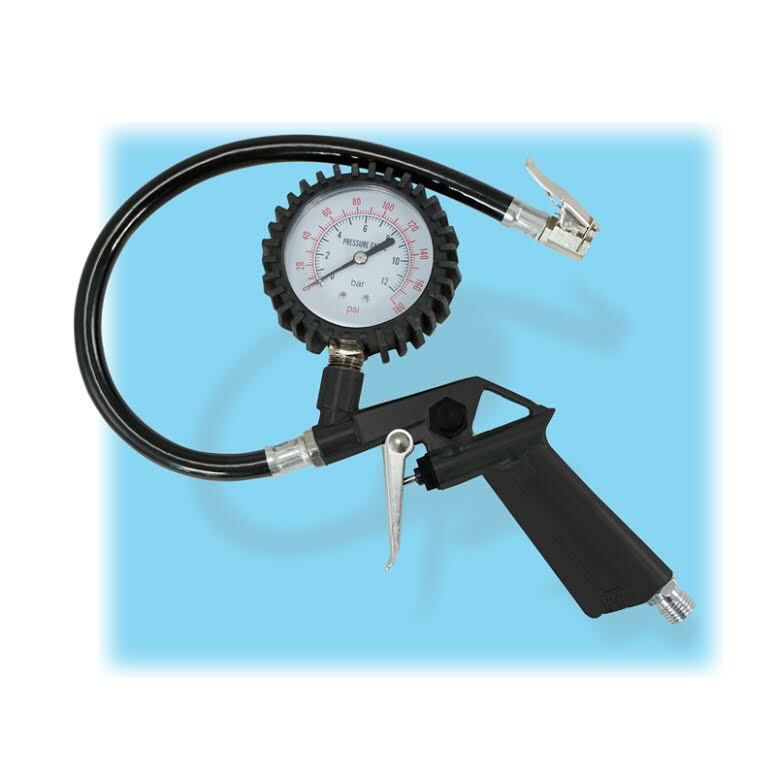 We combine together an inflation gun, chuck and gauge to make one easy-to-use unit. The chuck has a clip on feature to the tire stem. This design enables a one-handed use of the tool to inflate to the proper pressure. The large gage is easy to read and the readings are in both Metric (Bar) and USA (PSI). Excellent for checking and inflating tire pressure to 100 PSI or 7 Bar.